Essence Ventures acquires Essence Communications from Time Inc. Essence Ventures LLC, an independent African-American owned company focused on merging content, community and commerce, has acquired multi-platform media company Essence Communications Inc. from Time Inc. The terms of the transaction were not disclosed. The all black female executive team of Essence, including Essence President Michelle Ebanks, will have an equity stake in the business, reestablishing Essence as a 100% black-owned independent company. Since its founding in 1970, Essence has advocated women’s empowerment and the diverse images and lifestyles of black women. Today, Essence is an international, omni-channel destination for diverse storytelling and original content comprising beauty, fashion, lifestyle, entertainment and culture. Essence currently reaches a global audience of more than 16 million across its various platforms encompassing its signature print magazine; digital, video and social platforms; television specials, and live events, including the annual Essence Festival, a cultural celebration that debuted in 1995 and is now one of the country’s largest annual events, attracting more than 450,000 attendees. AOL Inc. has completed its acquisition of Adap.tv, a global, programmatic video advertising platform for the world’s largest brands, agencies, and publishers. The terms of the deal were not disclosed. Adap.tv is a global programmatic video technology stack across all screens and will operate independently as part of AOL’s video organisation. 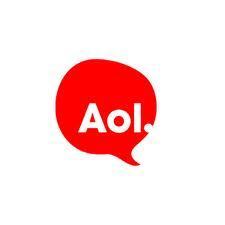 It will be included as part of the overall solution offered by AOL Networks to publishers, advertisers and agencies. Shutterfly has acquired ThisLife, a cloud-based solution offering intuitive photo and video organization, storing and sharing. In the coming months, Shutterfly will add ThisLife’s technology to the Shutterfly platform. ThisLife’s intelligent organization platform offers features like facial recognition and presents photos and albums in an elegant timeline for convenient sharing and product creation. ThisLife’s employees, including founders Andrea and Matt Johnson, will join Shutterfly. The company will share additional details about the acquisition on its Q4 2012 earnings call. TechCrunch is reporting a rumour that Shutterfly is to acquire online photo sharing and storage startup ThisLife an online photo storage and sharing service. The price is rumoured to be around $25 million. This life raised $2.75 million seed funding in June 2012, led by Madrona Venture Group.